Police were alerted to the incident in the Larne area of Antrim shortly after 11.25pm last night. 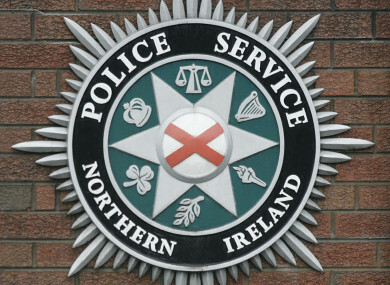 A MAN HAS suffered life-changing injuries in an aggravated burglary in Co Antrim last night. PSNI received a report of an aggravated burglary just before 11.25pm last night that a number of men with sledgehammers were seen running down an alleyway in the Woodvale area of Larne and that a man was heard screaming from a nearby property. Police attended the scene and found a man inside a property where a number of windows had been smashed. The man, aged in his 20s, sustained injuries to his arms and legs. He’s currently being treated in hospital for what are described as life-changing injuries. “This was a brutal attack, which is being treated as a paramilitary-style assault at this time,” PSNI Detective Sergeant Pete Crothers said. “Our enquiries are at an early stage, and I would appeal to anyone who was in the Woodvale area between 11.05pm and 11.25pm and saw a number of men in the area acting suspiciously to get in touch,” he said. Anyone who has information which could assist in the investigation is being asked to contact detectives in Ballymena on the non-emergency number 101, quoting reference number 1577 16/09/18. Alternatively, information can be provided anonymously to UK Crimestoppers on 0800 555 111. Email “Man suffers life-changing injuries in sledgehammer burglary attack”. Feedback on “Man suffers life-changing injuries in sledgehammer burglary attack”.